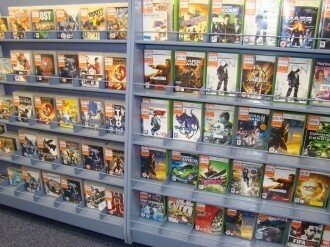 During a recent speech at the Goldman Sachs Technology and Internet Conference, GameStop CFO Rob Lloyd said that 60 percent of customers said they would not buy a new gaming console if it couldn’t play used titles. The admission comes as we continue to hear rumblings that at least one next generation console maker could be prepared to blocked previously played games. The executive told those in attendance that consumers want the ability to play pre-owned games in addition to having portability and physicality in games. Not having these elements, he said, would be a substantial reason for potential buyers to avoid purchasing a new console. What’s more, he noted that only about four percent of their used game sales are for titles that were released in the last 60 days. He likely highlighted that fact to show that their used games market typically deals with older, out-of-print games that are being given another chance at life. GameStop didn’t elaborate on how they collected information for this survey and as Ars Technica points out, saying you aren’t going to buy a system for one reason or another is certainly different than actually sticking to your guns – especially when a game you really want is an exclusive on said console. Furthermore, one would be forgiven for thinking it a bit suspicious that GameStop, a company that has an obvious interest in used game sales, would issue such a statement. What's your take on the topic? Would you buy a next genration console knowing it could only play brand new games?